During this week’s Paris Motor Show, Mazda has confirmed plans to rollout two new electrified products. One of the two will offer a range extender, which will be in the form a revived rotary engine. The rotary engine is certainly an icon within the Mazda history books and has a loyal base of automotive enthusiasts. That said, Mazda discontinued its most recent rotary engine back in 2012 when it axed the RX-8 from its lineup. Thus far details about both new electrified products are scarce. Mazda has only confirmed the rotary engine because the company says it is ideal for range-extender duty due to its high output and relatively compact size. 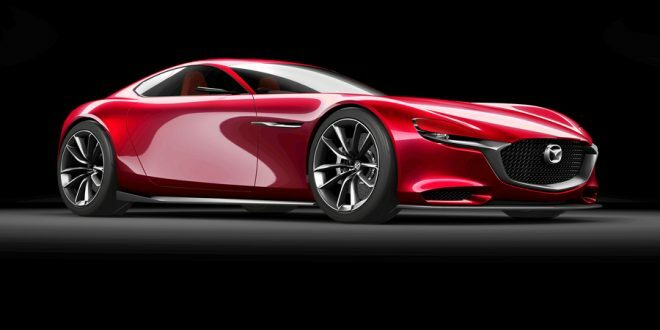 Mazda revealed the RX Vision Concept (shown above) back in 2015 as a precursor to what a revived RX could look like. Perhaps that concept will serve as a launching point for what the new rotary-powered Mazda will look like; we can only hope. Expect the battery-electric vehicle to be less enthusiastic, taking the shape of a more traditional EV. Wonder if the rotary can adopt Mazda's Skyactiv-X, semi-HCCI process. Running at steady rpm in a compression-ignition mode might radically raise its efficiency yet preserve the smoothness that rotary's are known for.